Warner’s superhero adventure Shazam! based on the DC Comics character of the same name, dominated the domestic box office, retaining the No. 1 spot for the second weekend in a row. It’s the first live-action film version of the character since the 1941 serial Adventures of Captain Marvel (the character’s original name). Produced by New Line and distributed by Warner, it is the seventh installment in the DC Extended Universe (DCEU). It is energetically directed by David F. Sandberg from a screenplay by Henry Gayden, and a story by Gayden and Darren Lemke. 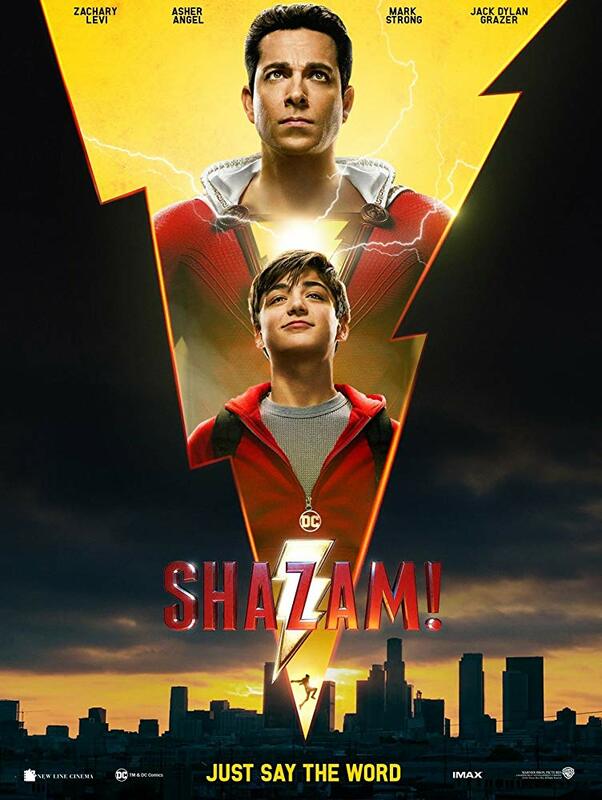 Representing a family entertainment, the movie stars Asher Angel as Billy Batson, a streetwise teenage foster boy of 14, who can transform into an adult superhero (played by the charismatic Zachary Levi). The film’s broad, humanistic message of the film–that no matter we are, we all have a superhero hidden inside us, and it just takes a “bit of magic” to bring it out to the surface. In Billy’s case, the trick occurred by shouting out one word–SHAZAM. I saw the film in a movie house with “real audiences–kids and teenagers–and before you knew it, they were all shouting SHAZAM out loud. The supporting cast is also strong: Mark Strong, Jack Dylan Grazer, and Djimon Hounsou. “Shazam!” fell 53% compared to opening weekend ticket sales, which is a promising number given the competition at multiplexes. DC’s masked hero also dominated at the international box office, pulling in $35.9 million for a global bounty of $258 million.